Love the ease of changing keys with our silver plated heart key chain. 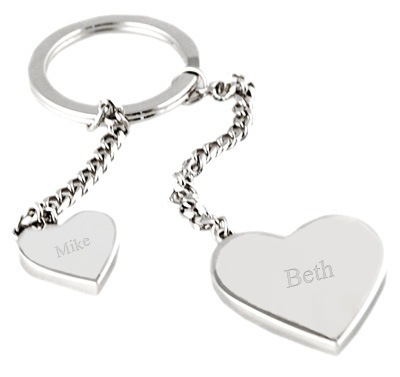 The U-shaped design silver keychain comes with a sleek heart charm that can be engraved and the end of the ring unscrews for easy removal and addition of keys. The Silver Heart Keychain is the perfect way to show your affection and admiration for those you love. Give the Silver Heart Keychain to each of your bridesmaids! Have your names and the date of the wedding engraved on the heart charm so your friends will remember the day as long as you do. 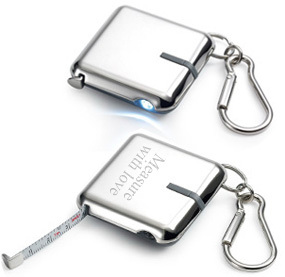 If you want the key to unlock someone's heart, there's no better way than giving them this keychain! Inscribe a message of love, or even a marriage proposal on the charm and let the magic begin! Give it to any lady in your life who appreciates the finer things and she'll be sure to share her heart with you!